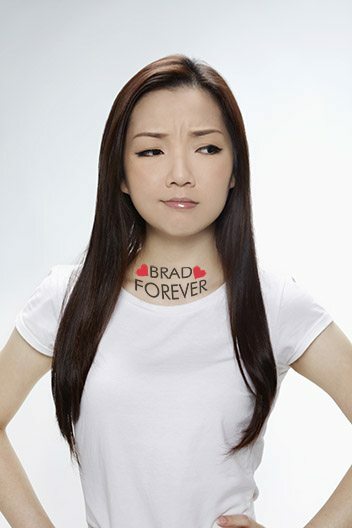 First time laser tattoo removal clients enjoy 1/2 Off any single procedure. Call or schedule online and ask your technician for details. All of ReGen Laser's technicians are certified laser technicians. This is a great video of a customer that came to us almost two years ago. This is a very deep cover up with a lot of ink which is why it took this long to get this far. However, this is what you can do with time and patience. Below is what can be accomplished with less ink. This removal took only two sessions. We all make mistakes, or sometimes we just want something else. In this age of instant gratification we all have jumped off a cliff we shouldn’t have. It is becoming an old story. Laser Tattoo Removal is an incredible technology that uses short pulses of intense light that pass harmlessly through the top layers to be absorbed by the tattoo ink. The laser energy causes the ink to fragment into smaller particles that are then absorbed by the immune system. Certain wavelengths of light work better for certain pigments. The Quanta-Q Plus C that ReGen Laser uses has three wavelengths: 1064nm which works great for dark blue and black ink, 532nm which is suggested for red, orange, yellow, and purple, and the Ruby laser at 694nm which works for those pesky light blues, greens, and violets. When the laser is used properly the light targets only the tattoo ink without damaging the surrounding skin. This is why it is important to have a technician who is properly trained to use the laser. Skin types, colors, ink amounts, and other factors are taken into account when using power output and laser wavelengths. Laser tattoo removal sessions are very short compared to getting a tattoo, but it may take many sessions to achieve a desired result. It is possible that you will always have something to remind you of the old tattoo that used to be there even after many sessions. We won’t lie to you. Getting the treatments can be painful. ReGen Laser offers topical numbing cream, chilling during the procedure, and cold packs after the procedure to help mitigate the pain. Also, long-term side effects can include hyperpigmentation (an abundance of color left in the skin at the treatment sight, hypopigmentation (a lack of normal skin color at the treatment site), and scarring. Good technicians minimize the chances of these things happening, but everyone reacts differently. Your first session will always be very conservative, usually, with lower power settings. 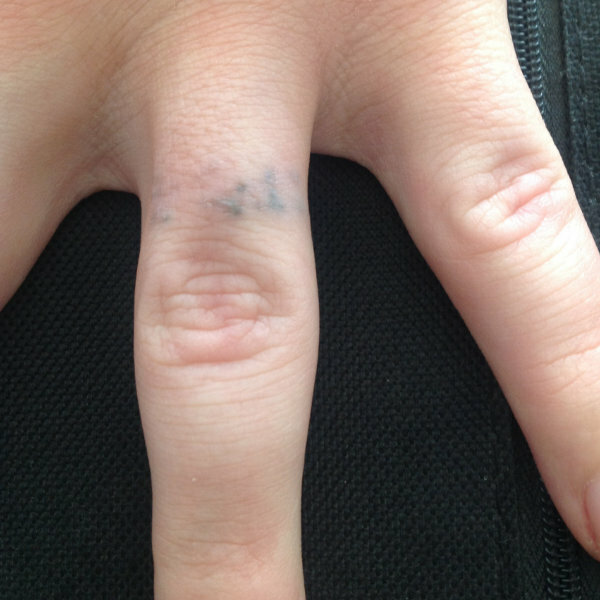 This also means you may not see a drastic change in ink loss from your first session. 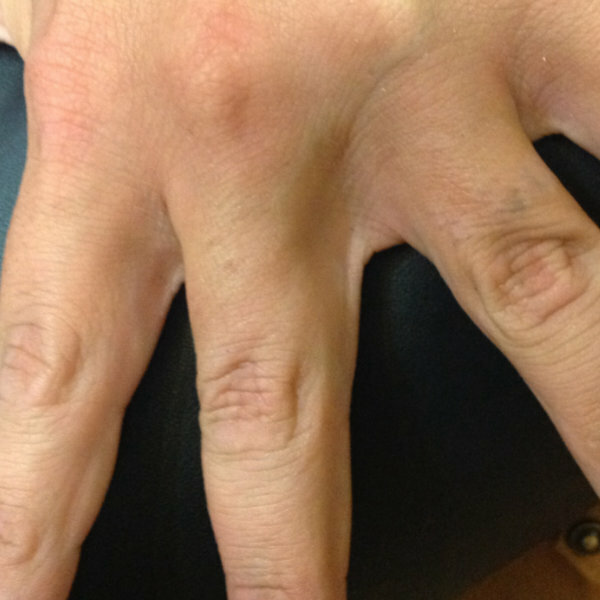 Normally, people see a real difference after the 2nd to 4th laser treatments. 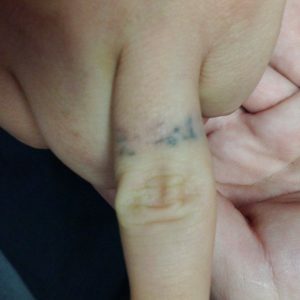 Depending on several factors such as ink type, skin type, and how the tattoo was done it can take up to possibly 15 sessions or more to achieve a complete removal. If you have any questions or concerns about laser tattoo removal please feel free to contact one of our technicians by calling 303-421-5714 or using our contact page.